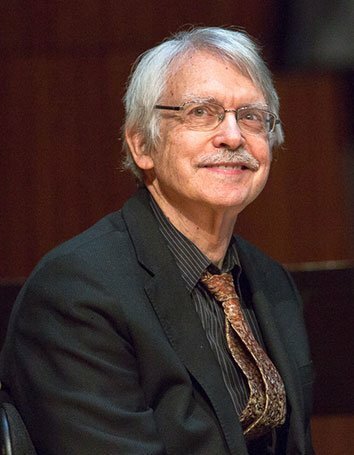 In 1986, the Cantata Singers commissioned John Harbison to write The Flight into Egypt, a choral work about Joseph and Mary escaping from Judea with the infant Jesus. The piece won a Pulitzer Prize and became an early landmark in Harbison’s compositional career. Then in 2006, the Cantata Singers commissioned and premiered But Mary Stood—a sequel about Mary Magdalene’s recognition of Jesus after the resurrection. And now there will be a third entry in this series of New Testament works. On Friday at Jordan Hall the Cantata Singers will premiere Supper at Emmaus, a co-commission with Emmanuel Music about two disciples’ encounter with the resurrected Jesus. We spoke with Harbison about his recent work and its intersection with religion. Lee Eiseman: What ties Supper at Emmaus to your earlier commissions from the Cantata Singers? John Harbison: The one thing they have in common is that they’re straight biblical narratives. It’s just right as it happens in the original scriptural passage which is kind of an unusual idea except in some Heinrich Schütz pieces. It doesn’t happen in the Bach cantatas or the Passions. LE: So whose version of the text do you use? King James. The Flight into Egypt is the post-nativity section in Matthew, and the But Mary Stood is the account of Mary Magdalene at the tomb. And then this is Supper at Emmaus, in which the disciples who were on the road meet the stranger. All the scenes of course also have origins in painting. LE: Did you see the Caravaggio original? I have never stood in front of either of the Caravaggios, unlike Flight into Egypt where I saw the painting. But I saw the amazing Titian Noli me tangere where Mary is trying to touch the garments. But the two Caravaggios I never saw except in reproduction. Benjamin Pesetsky: Were you thinking about the two newer pieces in the trilogy from the time you wrote Flight into Egypt? I was thinking about the text setting as a musical issue I was really interested in. In fact there’s one piece that precedes these called Samuel Chapter where I set the entire chapter of Samuel. BP: Do you plan to put them all together at some point on a concert? I don’t know. I would love that. David Hoose put the first two on one concert back in ’07. So maybe the Cantata Singers will have an occasion to do a sequence. BP: As a younger composer myself, I’m curious what it’s like to look back on a piece that’s a few decades old –especially when you’re putting it together with a newer work. Well for a long time I always had this kind of prescription that I didn’t pay much attention to all the pieces and I used to advise people on that. It seemed like almost a professional thing not to look back. And then during last year’s teaching at Tanglewood I had kind of a change of heart. I felt some composers were not owning their own music enough. They were sort of apologizing for what they were doing or some would say they weren’t sure about this or that and I thought that’s the wrong stance too. BP: So how do you feel your work has changed since the Flight? I’m aware of what I can’t do now. A lot of the experience of composing now is just getting a lot of material I can’t release for reasons I can’t exactly say. The pile of unused material in every piece is becoming and larger –things I can’t make anything of. And I’m not quite sure why. LE: Are these melodic ideas? All kinds of ideas. One section that I composed in a very elaborate way –the hardest part of the Supper at Emmaus actually –was this gigantic complaint by the disciples where they go into a real long a very radically expressive lament and it’s a big bulge in the text and I wrote it first very intricately with a lot of action in the orchestra. It took me a long time to do it and then I decided given this large space it takes in the continuity that it was going to wreck the piece. It was good workmanship but it wasn’t in the piece. So that happens to me much more. LE: You seem like a modern Kapellmeister writing all these different church settings and working at Emmanuel Church. Well it is a weird thing. I’d say probably the most nonconformist thing a composer can do now is write this kind of music. If you really want to feel like you’re in a total backwater, this is what you want to do. LE: So does this represent some sort of spiritual quest for you? I suppose it does and also it represents my interest in the sacred music tradition and the music that comes through that which includes a lot of recent music if we call, for instance, Stravinsky and Schoenberg recent enough. I mean those guys were still composing when I started out. And that was so much a big deal for them that it still seemed to me that it must be an alive tradition. But it is the backwater –I mean a lot of my colleagues don’t understand it at all. BP: Do you think this is because the culture in general has become increasingly secular, or does it have more to do with particulars of the music field? It’s both, but I think it’s more of a cultural thing. A lot of people profess to be interested in religion but in conjunction with that interest the arts are not a particular presence. Those same people don’t really want to look at religious paintings and they don’t really want to read very serious theological texts. And it’s the uncomfortable parts that are interesting to the sacred music composers. To Bach, one cantata after another is some difficult story or a fascinating and interesting story. One of my novelist friends told me there are only three plots and one of them is the stranger comes to town. Well, Supper at Emmaus is an archetypal telling of that story. The disciples’revelation comes later when they think back into the situation they were in. This is what Caravaggio was interested in too when he painted it. It’s fascinating just looking at it from the standpoint of the narrative and the way it’s unveiled. To me it’s an amazing thing so little music focuses on that. BP: So when these are the things you want your piece to express or capture in some way, how do you really get into it and make it happen? It’s like Bach wrote –you have to make sure that the big moments do what you want to do. They’re probably the easiest. The thing he said which I found interesting is that all the large things took care of themselves because they were imagined strongly. All the hard stuff was the connecting material, the sort of grit of the narrative. That’s true in my pieces. If you don’t have nailed the big downbeats, you can’t just get there and try to get by. LE: Can you say a bit about the rest of the program? The Bach Cantata (BWV 6) is a piece I know really well. It’s the only Bach treatment of the Supper at Emmaus text. But all that Bach uses explicitly is the one line which is the title (“Bleib bei uns, den es will Abend werden”). That’s all that’s in there. He doesn’t deal with the narrative at all, he just deals with the emotion of the disciples when they feel that they’re being abandoned. And every piece is in the cantata is on that subject. He could have referenced to other points in the story, but he doesn’t touch on that. It’s one of the greatest cantatas and it’s a tremendous piece –four versions of the same kernel. The theme of abandonment. And of course in my piece, which goes through the whole narrative, that’s just one moment. Also on the program are Bach’s Choral Prelude BWV 649 and works by Jan Dismas Zelenka. The concert is at Jordan Hall at 8:00 pm on Friday. Ticket information here.